PR - With the future of Samoa in the hands of our children, teaching them the importance of living sustainably on an Island, is of paramount importance, and that’s what the “Guardians - Tausi lou Fa’asinomaga” campaign is all about. After the training of environmental educators, made up of representatives from the different collaborating partners, the team made their way to the Aleipata district. They had one goal: to increase the level of environmental literacy among the young children, while building pride in the process using the Gaualofa as Samoa’s floating classroom. 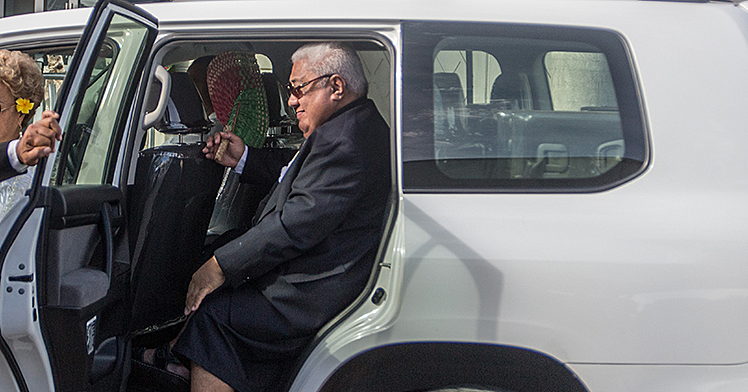 The campaign was officially launched by Prime Minister Tuilaepa Sailele Malielegaoi last month with the first phase completed last Friday, reaching over 270 Year 7 and 8 students from Tiavea, Samusu, Saleaumua, Lotopue, Lalomanu, Vailoa, Ulutogia and Satitoa. The vast number of young participants spent two weeks at the Guardians base, located at the Satitoa Wharf, rotating through different modules designed to highlight environmental issues for both the land and marine life, as well as ways to remedy these issues. 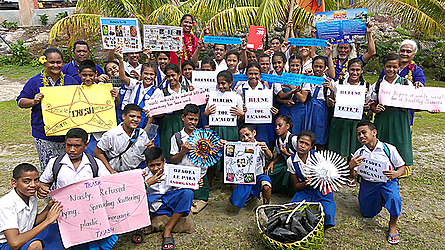 The five modules were: wise fishers – where the children learnt different aspects of marine life, Samoan voyagers – where they were taught about the country’s proud voyaging history and why Samoa was known as heart of Polynesia and how nature was used to navigate and traverse the open seas, coral champions – which illustrated coral biology and highlighted the many roles of our coral reefs, tree guardians – where they looked at why there is a need to protect trees and mangroves; and trash star – which gave lessons on how destructive different types of rubbish can be to the environment, and what can be done to address it. The Guardians team employed various unique interactive and hands on teaching tools to understand environmental principles. Students were snorkelling and identifying live and dead coral, exploring the “Gaualofa – and learning how to sail, exploring biodiversity in the mangroves, various environmental influenced games and songs, environment chants or jingles and much much more. 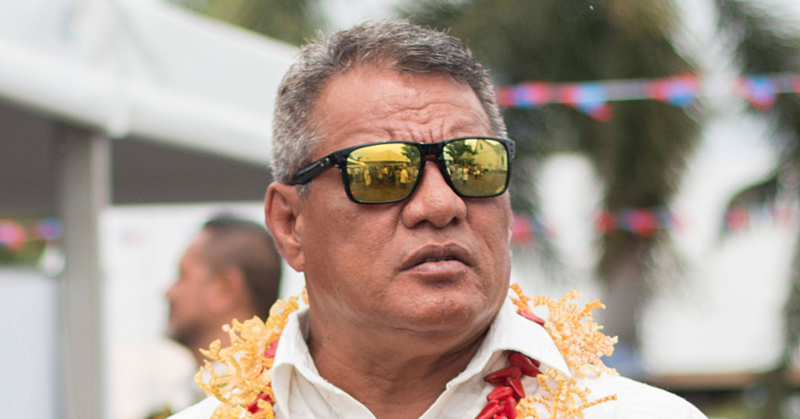 “This campaign is a first of its kind in Samoa, bringing together many Government and non-government organisations and agencies with a common goal to impart unforgettable environmental knowledge important to being able to live sustainably on an Island that our youth need to know. The magic of this is also that this is not your typical ‘awareness raising’ campaign with a bunch of passive presentations,” said Conservation International Samoa program director and Samoan Voyaging Society president, Schannel Fanene van Dijken. According to 11-year-old Meauli Pale, who spoke on behalf of her fellow students of Samusu Primary School, the campaign was a great experience for her and her peers. She explained how the lessons were very educational while still maintaining an atmosphere of fun and excitement, something those of her age relate more to. “This week was so much fun, I have learnt so much from this campaign and I feel that I am ready to pass on the lessons to others in my area for the sake of our environment,” she added. Another participant, Marysiana Savelio, pointed out that the program changed her mind-set towards the environment. “I knew that trees are important but the tree guardians module taught me so much more,” she said. As for the guardian team, the synergy between the representatives of different organizations and ministries made the campaign a success. “When we have everyone work together for a common goal, much can be accomplished,” said Toloai Apulu Fonoti Tipi, one of the guardian educators and curriculum officer for M.E.S.C. The guardian representatives of the other government ministries and organizations were also in agreement that there is a real need for collaborative work, similar to the Guardians Campaign, if a difference is to be made for future generations. 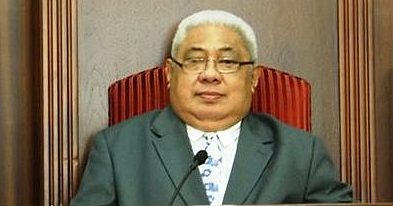 The initiative is led and implemented by Conservation International Samoa in partnership with Samoa Voyaging Society, Ministry of Natural Resources and Environment, Ministry of Agriculture and Fisheries, Ministry of Women, Community and Social Development, Ministry of Education Sports and Culture, Youth Climate Action Network Samoa, Samoa Conservation Society, National University of Samoa, with support from Food and Agriculture Organization, United Nations Educational Scientific and Cultural Organization and the Secretariat of The Pacific Regional Environmental Program.